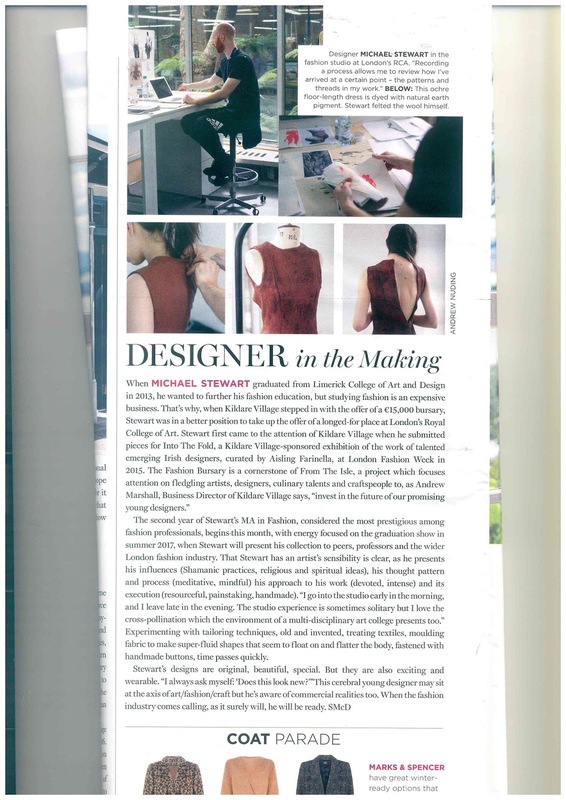 Michael Stewart, LSAD Fashion graduate is currently in his 2nd year of MA in Fashion in the Royal College of Art in London. Michael was the recipient of a �15,000 bursary from Kildare Village earlier this year to help further his studies. Michael is in LSAD this week working with 4th year Fashion Students.